Guideline for trojan horse removal. Trojan Horse is one of the most devastating malware programs that can easily put your computer system and its resources in lethargy. The malware program will attach itself to the files or documents, and it subsequently gets embedded into your system. 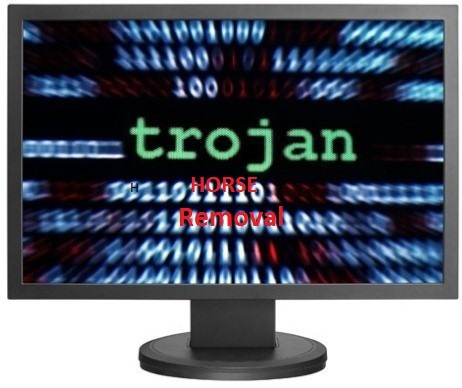 A Trojan Horse malware can really mess up with your routine work and put you in a backlash. However, the good thing is that Trojan Horse removal is possible. You can easily remove this malware as soon as you come to know that your system is infected with it. Right click on the computer and select the properties. If you are using the Windows 8, you need to press Windows key + X and select System. Click on the "System protection" link. Next, you need to disable the system protection and delete the restore points that have been saved on the computer. Doing this will ensure Trojan Horse doesn't replicate through the means of System Restore. Once the virus has been removed, you can re-enable the System Restore. It is the time to install a good anti-malware program. You can search on the internet and find out some really great free options such as Malwarebytes or Avast! A paid anti-malware program on the other hand can really have more definitions that will help you to detect the virus on the first notice and keep you going. Reboot your computer system into the Safe Mode. For this purpose, you need to repeatedly hit the F8 key and this would lead you to the Advanced Boot menu. Now make the selection of either the Safe Mode, or Safe Mode with Networking if you are considering of downloading the files in the removal process. This is necessary for Trojan Horse removal. Uninstall all the unfamiliar programs. Trojan Horse has the ability at installing the programs that you didn't approve. Therefore, take your system in the Safe Mode and open the control panel, and then select the Add/Remove Programs or Programs and Features. Browse the list of any programs, which you had not authorized and run the uninstall procedure. It will help in Trojan Horse software removal. With these steps in place, you are through with the Trojan Horse software removal. There is nothing to worry about now.